Let’s face it — when away on an overnight business trip or a short city break, your time is best spent recalculating the figures in your spreadsheet, or planning where best to visit for an aperitif and fine local cuisine. Don’t waste valuable time at your hotel trying to achieve a respectable shave from a disposable razor and travel sized shaving gel, purchased at hugely inflated prices whilst hurrying to your departure gate at the airport. You’ll vow never to make such purchases ever again. Until your next visit to an airport that is! Our advice? Having packed your weekend bag, do yourself a huge favour and treat yourself to the closest possible shave before you go. If you use a quality safety razor — such as an Osterley safety razor — you will stay beard-free for two or three days, then have yourself a shave again upon your return home. This way, you will travel lighter and have a few extra foreign coins to spend treating yourself. If your travel plans are to spend a longer amount of time away from home, then invest in a quality travel razor and protective leather razor pouch. Just remember to add a few razor blades (or Gillette blade cartridges) and a 75ml tube of scented shaving cream to your Christmas list, then your all set, year after year! Which is the best men's travel razor? Chose from the contemporary, modern Wilde & Harte Osterley Collection travel razors, available as a Gillette Mach3, Gillette Fusion, or 3-piece safety razor. Furthermore, Wilde & Harte travel razors are 66% the length of standard wet shaving razors - 105mm for Mach3 and Fusion razors and 85mm for the ultra-compact travel safety razor. Our travel razors are manufactured from stainless steel. At the end of each shave, simply wash your razor with warm soapy water and dry with a cotton hand or face towel. This will maintain the high quality mirror finish of your travel razor, keeping it looking brand new for many years. You don’t even need to buy razor blades before you go. A vast number of international airports and overseas pharmacies stock Gillette Mach3 and Fusion cartridges with many overseas pharmacies offer selection of double edge blades for safety razors. You can even order blades online for next day delivery via popular shaving websites operating in key holiday destinations such as France, Spain, Italy and the US. 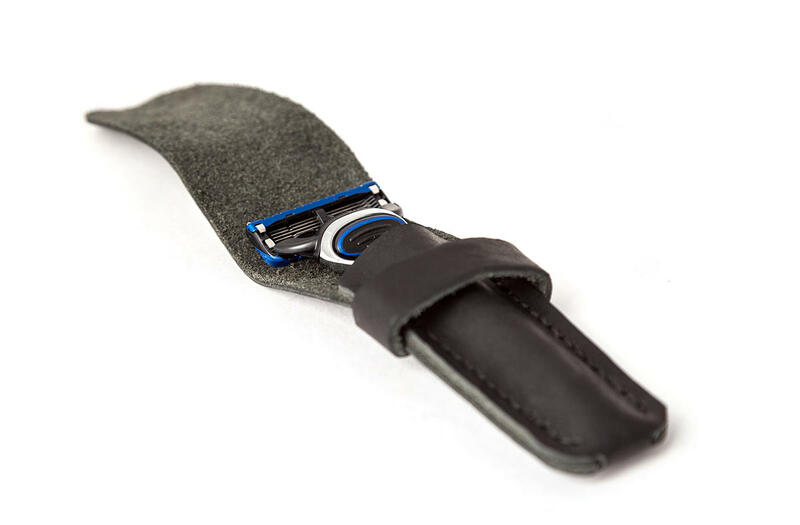 Why not consider a leather razor pouch to protect your travel razor? 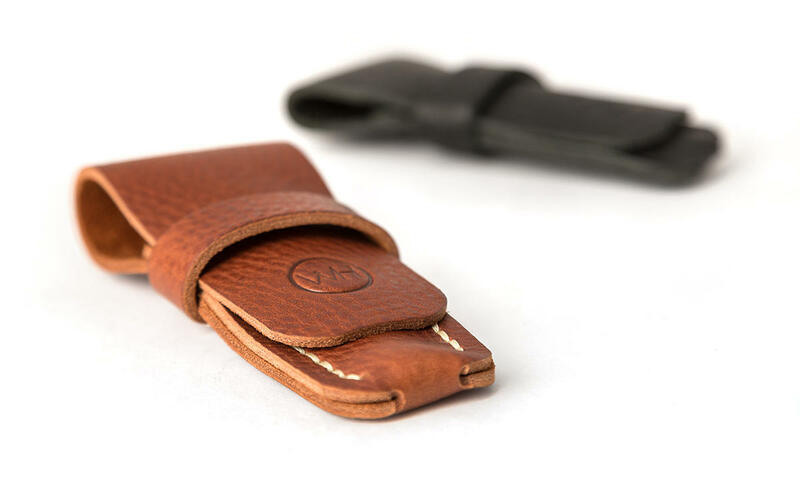 Wilde and Harte offer a selection of hand cut and stitched leather razor pouches custom fit for our travel razors. If you wish to keep your Mach3 or Fusion razor in a space efficient position, then perhaps our standard razor stand is the accessory for you? A travel Mach3, Fusion or safety razor? Need help deciding if to purchase a Gillette system travel razor or a travel safety razor? Then read the selecting the right razor blog article here. We wish you a safe trip. Bon Voyage!